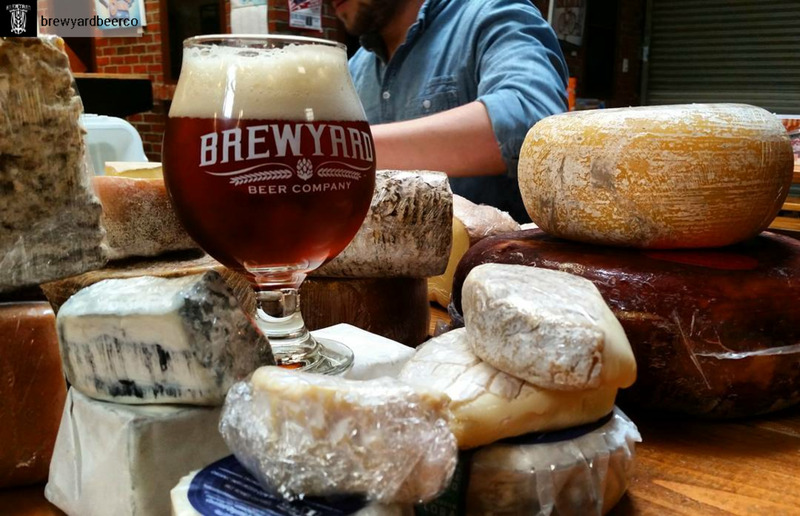 The Steam-punks at Brewyard Beer Company and the curd nerds of Vagabond Cheese have melded minds and are bringing pairings of California "Ale'd" Lagers and Artisan Cheese to your palates! We're pairing our cheeses with this unique style of beer known as the California Common, that's not quite an ale and not yet a lager. The Brewyard beers are born of a collaboration between two childhood friends, Sherwin and Kirk. After winning "all the medals" at homebrew competitions, they pooled their resources and talents to create Brewyard Beer Company. As Glendale's first microbrewery, Brewyard has quickly become a place where you can feel like part of the brewing family. So enjoy some life-changing cheese and drink some light yet unfathomably flavorful beer at this laid back, dog and family friendly spot nuzzled right under the 5 freeway.